Your WOOFY WASH BAG® acts as a barrier, trapping pet hair and keeping your washing machine clean. The WOOFY WASH BAG® is suitable for washing fabric leads, collars, coats, harnesses, clothing, towels, cushion covers, fleeces and soft toys. Place your pet’s laundry in WOOFY WASH BAG®, machine wash and dry as normal. Turn your WOOFY WASH BAG® inside out, shake ready for re-use. Large Size (400mm x 600mm) – is suitable for washing your pets jumper, coat, towel, bed cover etc. 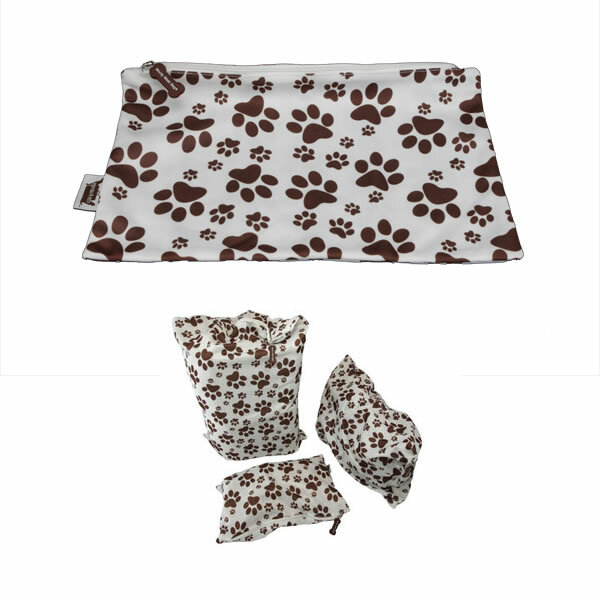 Medium Size (350mm x 460mm) – is suitable for washing your pets, PJ’s, pets fabric collar, lead, harness, toys, tennis balls etc. Small Size (350mm x 230mm) – is suitable for washing your pets fabric collar, lead, harness, small toy etc.